In a huge relief to Amrapali home buyers, the Supreme Court today directed the public sector National Building Construction Corporation (NBCC) to undertake all unfinished housing projects of the group – flats numbering around 50,000- and file within 30 days a comprehensive plan and timeframe within which construction be completed. 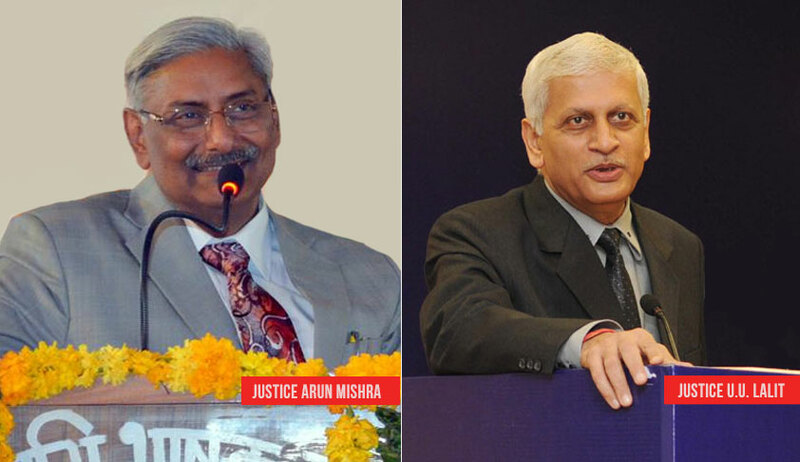 A bench of justices Arun Mishra and U U Lalit also directed statutory auditors of Amrapali group to examine accounts of all 40 companies of the group and file a report on diversion of around Rs 2500 crore of homebuyers money by the group. NBCC is apparently working on an Rs 15,000-crore plan to complete the unfinished projects to Amrapali which will benefit nearly 50,000 stranded home buyers who have not got possession of their homes even after paying nearly 90 percent of the amount. Yesterday, pulling the group up for “defrauding investors and playing dirty games with the court”, the bench ordered attachment of all bank accounts and movable properties of 40 firms belonging to the real estate major. The bench directed the Amrapali Group of companies to place before it details of all its bank accounts from 2008 till today and ordered freezing of bank accounts of all the directors of its 40 firms. The apex court had summoned secretary, Ministry of Housing and Urban Affairs Durga Shankar Mishra, and chairman, National Buildings Construction Corporation India Ltd, for proceeding with matters of the group without its approval. Both of them appeared in the court and apologized. The bench told them sternly that their “attempts to scuttle the court proceedings were clear contempt of court”. The bench also slammed the NBCC Chairman for giving details of its plan on completing Amrapali housing project to media yesterday after court passed an order against him and summoned him. On May 17, the apex court had given its nod to three co-developers to complete the 12 stalled projects of the embattled Amrapali Group in the next six months to 48 months time period. SC had asked the Amrapali Group to deposit Rs 250 crore in four weeks in an escrow account to be paid to the co-developers on completion of the projects. The six projects will cater to 27,000 to 28,000 hassled homebuyers. SC had on May 10 spotted diversion of funds to the tune of over Rs 2,700 crore by the Amrapali Group and sought details of financial transactions made by the company and its statement of accounts. Observing that homebuyers cannot be just thrown to a frying pan, the apex court, on April 25, had said it would like to be assured of the financial standing and credentials of a company which is willing to take over some of the projects of the Amrapali Group. The group had then given the details of its ongoing housing projects, stages of work and the likely time to complete construction. The company had earlier told the top court in an affidavit that it was not in a position to complete the projects and hand over possession of flats to over 42,000 homebuyers in a time-bound manner.